Hull Professionally Painted with Awlgrip. The front cabin has still to receive its headlining, but as shown in the photograph the surface has been prepared well and therefore when chosen will just need tacking on. Boatshed Ireland are delighted to offer this very rare and beautifully presented classic Boston Whaler Revenge. Professionally restored by the current owner and simply stunning this Whaler commands huge interest wherever she goes. On lake or sea, for cruising, fishing or water-sports you won't find another boat with this amount of style and performance in this price range. The T-Top provides excellent cover - there's a neat cabin with double berth for overnighting and a powerful 225hp Johnson delivering the speed to this classic all-rounder. We recommend you move to offer quickly if this boat is of interest to you. 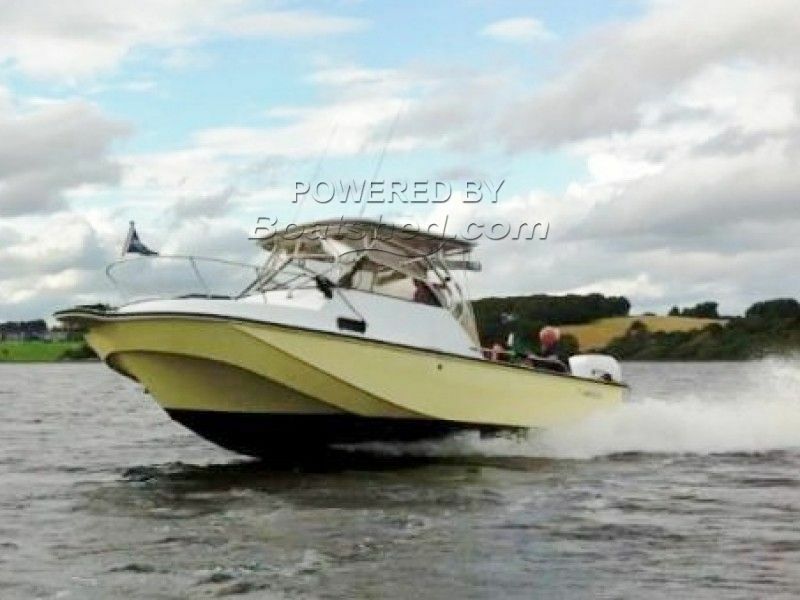 This Boston Whaler Revenge V-22 has been personally photographed and viewed by a representative of Boatshed Ireland. Click here for contact details.